Author Sharon E. Cathcart presents a "box set" collection of short fiction, previously available only in eBook format. "Around the World in 80 Pages," 2013 Global eBook Award double nominee "The Rock Star in the Mirror (Or, How David Bowie Ruined My Life)" and "His Beloved Infidel" will take readers on journeys around the world and from ancient to modern times. 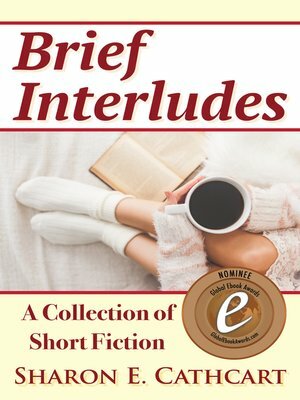 Historical fiction, urban fantasy, interethnic romance and more await you between the covers of "Brief Interludes."